...with some great news stories, amazing statistics and a bit of a facelift! Welcome to our March News Update! This year DAI celebrates 20 years of ministry ‘COMMITTED TO SERVANT LEADERSHIP’ and this is our new tagline which sits very comfortably with a new, more contemporary version of our logo (above top left). But a new tagline and logo are cosmetic changes (no disrespect to their designers! ); far more important is the impact of what we do. So please read on for stories of the impact of DAI’s work on the lives of individuals and organizations, statistics reflecting DAI’s ‘reach’ in 2015 and updates about brand new, recently-piloted courses. Violets Into Roses (Jane's Story)! This month John was back in Uganda, to facilitate another Partnerships Course Residency - something he hadn’t done for five years. Most Masters In Organizational Leadership Facilitators work with a group of students for just a single course. But, unusually, this was the third time that John had worked with this particular group of MA students. 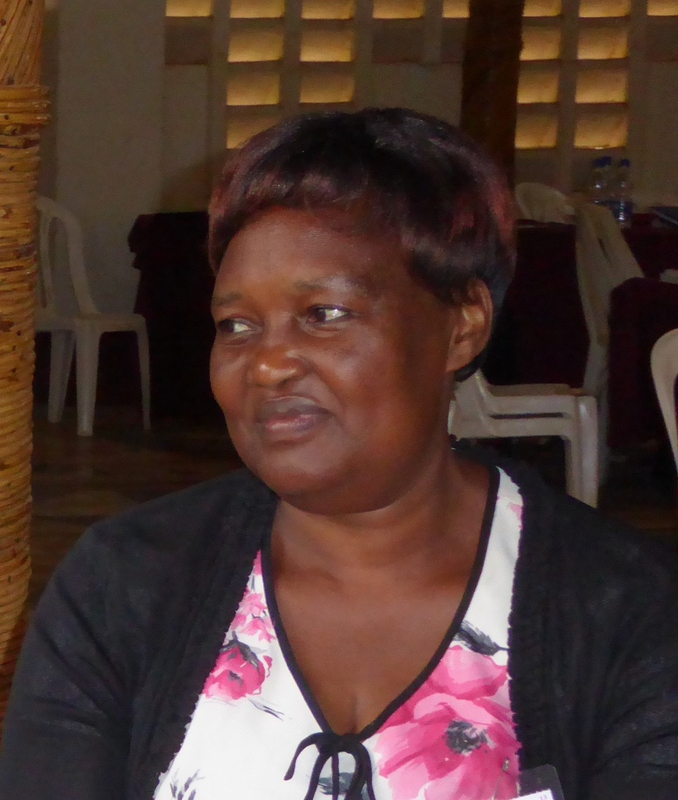 Initially he had facilitated the Teaching and Learning for Impact Course at their first Residency in August 2013 when they were new to the programme. Subsequently, John returned to work with this group on the Fundraising Course in August 2015 and was back again two weeks ago to facilitate the Partnerships Course with them. And how did the Partnerships Residency impact this blossoming rose? Don’t Think Numbers, Think Leaders! Please don't misunderstand us, it's not that the numbers aren't important, it's just that we'd prefer you to think in terms of the impact behind them, that is, how much better equipped are the leaders we reached in 2015 to serve their churches, ministries and organizations! That's a total of 25,740 leaders (a 12% increase from 2014) better able to lead and manage their ministries at the end of 2015 than at the beginning! Praise God for allowing DAI to play a part in this Kingdom-extending work! 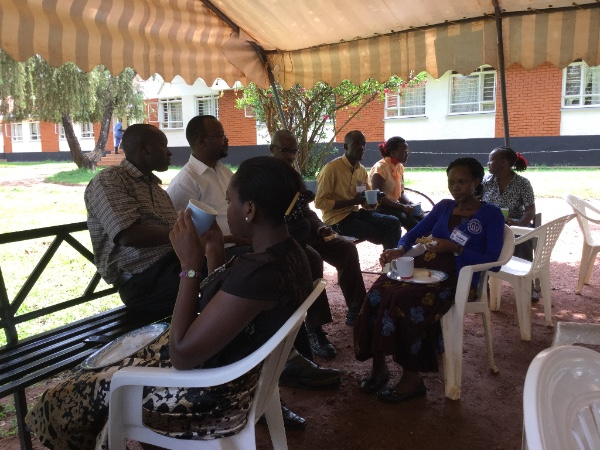 Whilst John was facilitating Partnerships two weeks ago (see above), Colin was also in Uganda where he was piloting the brand-new MA Strategic Management Course with a cohort of 16 first-year students in their second semester (pictured above enjoying a tea-break!). Although the proof of the pudding will lie in the Assignments that the students will complete in the next 6 months, the new materials were very well received and the cohort enjoyed wrestling with topics such as Why Strategies Fail, creating a statement of organizational Shared Purpose and learning tools, techniques and processes to deploy as they go about Building Better Futures in their own churches, ministries and organisations. All of the above was encapsulated in Biblical truths with the very first Session exploring how, as strategists, we need to practice Obedient Improvisation and the last focusing on prayerful Discernment In Decision Making. The successful piloting of this new MA Course will now enable and inform the development of a (non-formal) Strategic Management Workshop – a strategic development in itself! 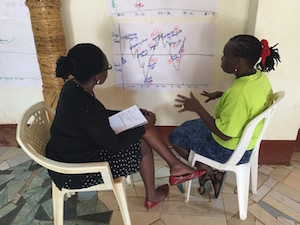 The week after the MA Residency, Colin was joined in Uganda by Michele Breene, from DAI’s US team, and they co-facilitated the new 3-day The Ministry Of Mentoring Workshop with 22 participants. The majority were drawn from John’s 3rd Year cohort (see above) who had been unable to study Mentoring within the MA programme because they had chosen the Partnerships elective instead! They were joined by the DAI Uganda team and the General Manager of the Workshop venue. The group engaged superbly with the Workshop's highly interactive content which included collectively defining mentoring and distinguishing its various forms, opportunities to practice mentoring, sharing their life stories in pairs as a part of mentoring (pictured above), improving their empathic listening skills, recognizing the importance of intentionality and, of course, planning how to implement what they have learnt. Colin and Michele are indebted to this group who have played a part in the process of refining the Workshop prior to it being made available shortly to all of DAI’s Ministry Centres. In May, John, who served as Langham’s UK Director from 2003 until 2005, has been invited to give input to Langham Preaching’s Global Leadership Team meeting in Antalya, Turkey. 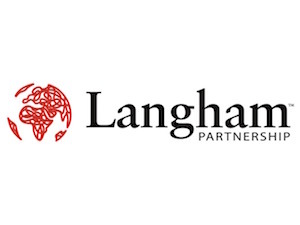 Langham Partnership is a global fellowship seeking to strengthen the growth of the church in maturity and Christ-likeness through raising the standards of biblical preaching and teaching. John has been invited to facilitate discussions on local fundraising and on local Board development. Please pray for John as he travels to Antalya on 8 May and as he prepares for this assignment. Fancy A Week In Sweden? 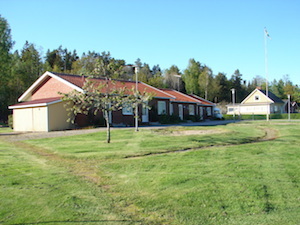 The DAI team in Sweden are organizing a work-week at the Pilgrimshem Retreat Centre from 20 to 25 June (with flexibility to match volunteer's schedules wherever possible). Work outside includes forest cleanup, garden development and painting. Work inside includes electrical & plumbing, painting, curtains & decoration. The team are looking for a team of about 5-10 people for this short term mission project. 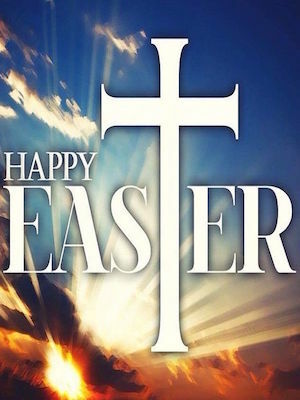 Lord Jesus Christ, watch over those who are leaders in your Church and in Christian ministries and organizations worldwide. Keep them faithful to their vocation and to the proclamation of your message. Strengthen them with the gifts of the Spirit and help them to serve those with whom they work, especially the poor and the oppressed. Give them servant hearts, a vivid sense of your presence in the world and a knowledge of how to show it to others. Amen. Copyright © 2016 DAI UK.